To wish your friend and family have a memorable and spooky Halloween, nothing can be more sweeter than a DIY gift. 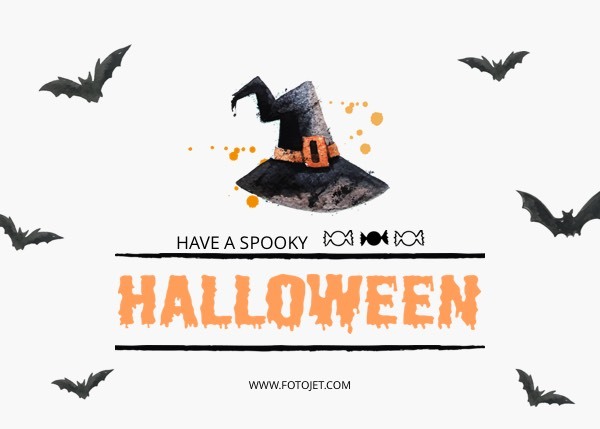 Since sending Halloween cards is a good way to convey your greetings and it is easy to finish with FotoJet, you can choose to make personalised Halloween greeting cards. This Halloween template with bat images is just perfect for a spooky card. It is also allowed to design it with your choice of font style and color. You can even add more Halloween clipart images if you want, from the preset or internet!